Caprese Skewers - A recipe from Savor California, the online showcase for extraordinary gourmet foods and beverages from California. 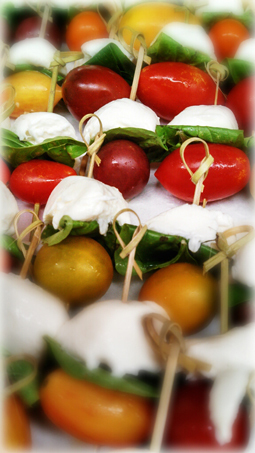 Thread tomatoes, mozzarella and basil leaves onto bamboo skewers. Drizzle with Basil Crush Oil.